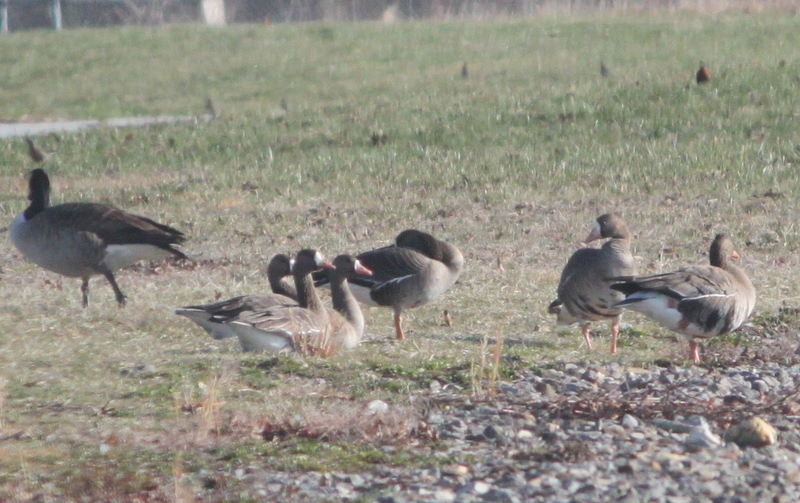 Our first rare bird chase was to try to find a Greater White-fronted Goose and Rough-legged Hawk in Hendersonville, NC. We saw the reports on eBird and decided on Sunday morning to go chase the birds. eBird is a great website that allows people to enter in their sightings and let people know where they saw the bird so others can go look for it too. We were so excited to drive somewhere in search of a specific bird. Before when we would bird watch we would just go hiking or walk around our neighborhood and record what we saw, but this time, we had a mission. Luckily we only lived about an hour from Hendersonville, so we were able to get there right before sunrise. We started our adventure at the Mill River Waste Treatment plant. When we arrived at the waste treatment plant we saw a wide variety of birds, American Robins, Killdeer, Hooded Mergansers, Ring-necked Ducks, Canada Geese, 3 gorgeous male Buffleheads, but no Greater White-fronted Goose. We waited around for a half hour, and were about to pack up and head to another spot, when, right over our heads came in a flock of 10 Greater White-fronted Geese! 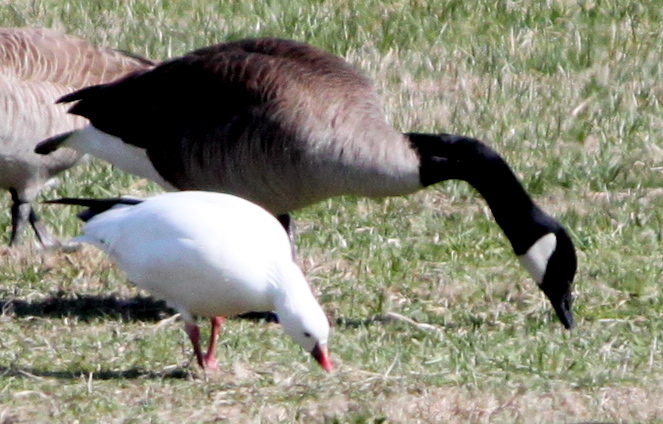 We were so excited that we almost didn’t see to the 2 Ross’s Geese sitting on the other side of the pond. After our success at the waste treatment plant, we drove to another spot nearby to check for the Rough-legged Hawk, unfortunately we were unable to relocate the hawk. We decided to bird around the area and check out some other birding “hotspots” (an eBird term for a place that is frequently birded and a good place to find birds). As we were wandering around the Hendersonville area we ran into another birder, Wayne. We talked with Wayne for a few minutes, then out of no where 14 Sandhill Cranes flew over our heads, another life bird! We had such a great day chasing birds, and ended up picking up 3 lifers! From that day on, we have chased as many life birds as we can!